This two-story compiliation, read by Stefan Rudnicki, offers two stories from David Drake's popular Hammer's Slammers series. In At Any Price, Col. Alois Hammer's indomitable Slammers are called in to support human colonists against a native uprising in this novel-length adventure. But even though the natives' off-world weapons are no match for the Slammers, their ability to teleport gives them a frightening advantage! In Rolling Hot, the battle-crazed troop of recruits and vets, led by Captain Ranson, must cover 300 miles of hostile enemy territory. Lt. Daniel Leary of the Republic of Cinnabar Navy commands the corvette Princess Cecile. His friend, Signals Officer Adele Mundy, has the latest in spy apparatus and the skills to prowl the most tightly guarded database. All they lack are enemies, and fate is about to supply that need in abundance! A hostage uses the Princess Cecile to regain his freedom and his throne; an ally plots with enemies of Cinnabar, knowing the plan can only be safeguarded by destroying the Princess Cecile; a pirate chief joins in a cutthroat battle with a rival, and the Princess Cecile is a pawn. 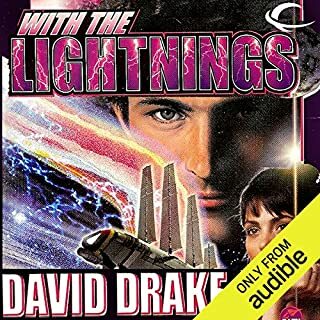 Daniel, Adele, and their crack crew must battle bureaucrats and traitors, the winds of a barren desert, and the strains of a voyage never before attempted. If they succeed at every stage, their reward will be the chance to fight another enemy: one which can blow them and a hundred ships like theirs to vapor! Go Navy: download more titles in the RCN Series. 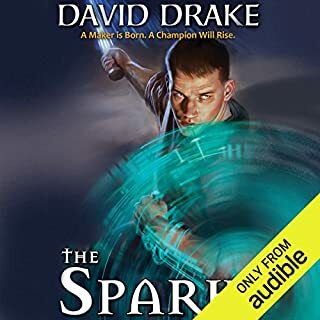 ©2000 David Drake (P)2008 Audible, Inc. 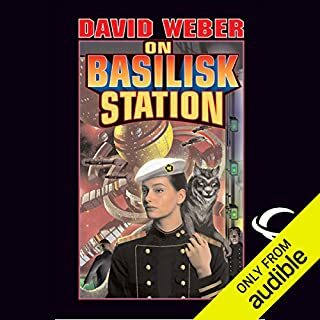 This second book in the series was, I felt, FAR more in line with the Aubrey-Maturin (sp) source material, with a lot more starship combat AND shore-time intrigue. It would be a rousing read, I have no doubt. However, once again Victor Bevine's voice lends itself more to the calm cadences of bedtime tales than to the derring-do of Leary, Mundy, and their compatriots. 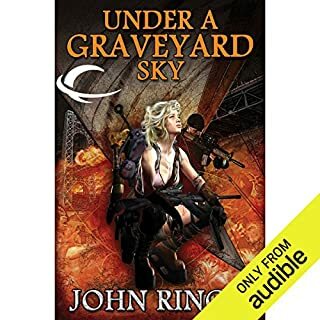 He's good, and it's not enough to stop me from downloading the next book as soon as I finished this one, but I would like to have had more energy, more gusto, out of at least the tense, action-packed moments with which the novel abounds. This RCN Series is addicting so far.. I find Book 2 better then 1. I like the author don't spend too much time building in new characters which make the story move smoother and easier to understand. series first then I'll be starting the RCN Series. While I believe that David Drake read the Aubrey-Maturin books by Patrick O'brian, I'm not sure he understood what about character interaction between Jack Aubrey and Stephen Maturin made the books so great. It's clear that he has aped the style, as was his intention, and as long as you aren't expecting Aubrey-in-space, then this series is perfectly fine. It's entertaining, written well enough that I'm not cringing throughout, and I enjoyed it. I wish he hadn't mentioned anything about O'Brian's series, because it's difficult not to contrast the two now, but the RCN books stand on their own well enough. Unlike everyone else who has listened to this series I didn't have a problem with the narrator. 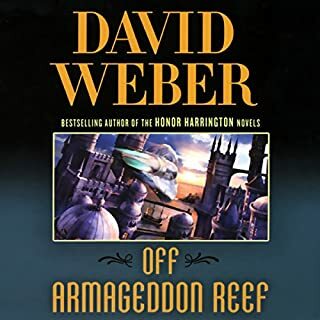 If you are looking for a better-than-average series (unlike this very average one) in a similar vein, the Honor Harrington series by David Weber is far superior, and can also be found here on Audible. 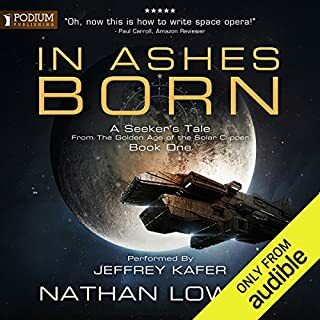 Alternatively, if you haven't yet, you should certainly listen to the Aubrey-Maturin books, which can also be found on Audible. I didn't hear Book 1, but Book2 hooked me on the series. Moving on to book 3. The story has a tranquil feel to it. Excellent Narration. 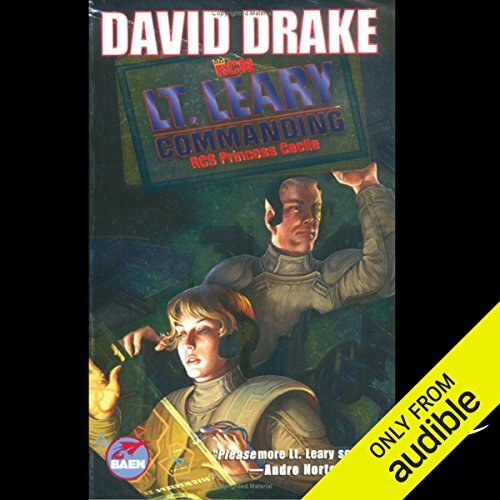 Military Sci-Fi / Space Opera at it's best. Compelling story line. Nicely narrated. Interesting characters and plenty of action. Well recommended to those that enjoy the genre. Perhaps, my expectations were a bit high? But I definitely enjoyed the book,and confirm my point I will read the next one. I loved the book and look forward to hearing more. up cinnabar. the back and forth between the main characters is quite enjoyable. Highly recommended. Great narrator. Excellent story, very exciting. I am looking forward to the next book in the series. Good Buddy's and crew makes a Family of fighters. With Nathan Leary, RCN LT. at the helm of the Little Ciss there is an almost sure victory ahead of them. All the Spacers say so after his track record in killing Alliance ships and spanning the nexus in record time. But Lt. Natan Leary, only feels half his team has arrived until the most intregal part of his personal staff and friend arrives, Mistress Adele Monday. Whom He has known only a year but does not know how he ever survived before they met and became friends and shipmates. She is the closest friend Leary has ever had in a female of his class.